Different sizes of breeding cages for different birds. 30" Stacked bird breeding Cage with removable divider for finch, canary, and sisken. 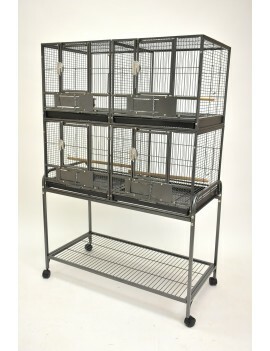 38" Triple compartments Stacked bird breeding Cage with removable divider for finch, canary, and sisken. 30"X18"x18" Double breeding cage for small to medium bird and parrot like canary, budgie, lovebird, cockatiel, etc. 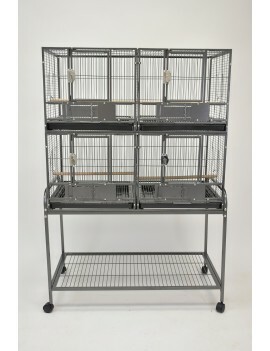 Double stacked breeding cage for small bird and parrot, such us canary, budgie, lovebird, parrolet, cockatiel, and conure.